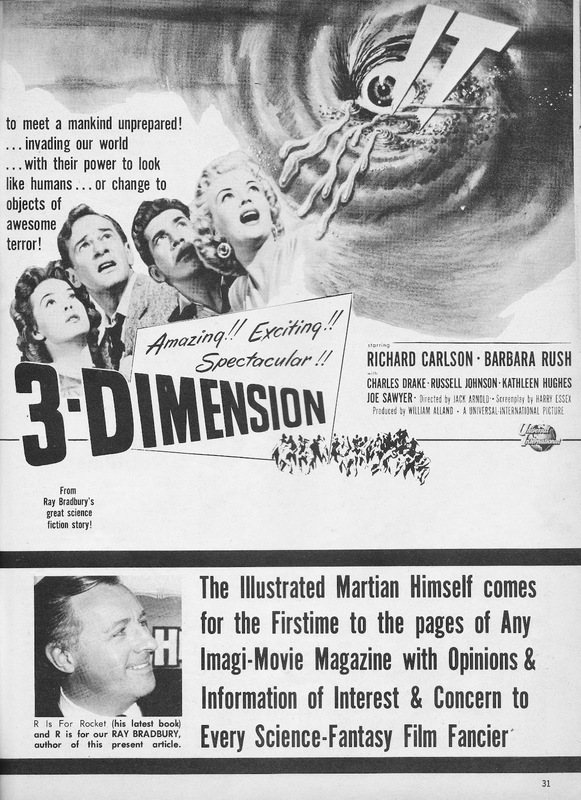 Unfortunately, the world’s only space-movie magazine only ran for nine issues in 1961. The pages below are via Include Me Out. 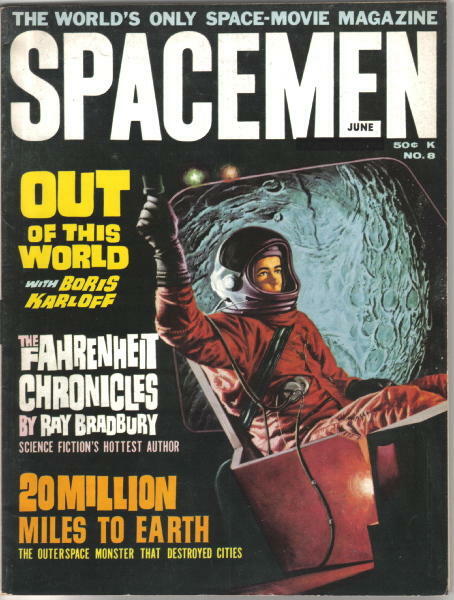 The early interview with Bradbury is fascinating, if poorly edited. It reared up, seized the tower and gnashed at the glass. The foghorn and the monster cried. 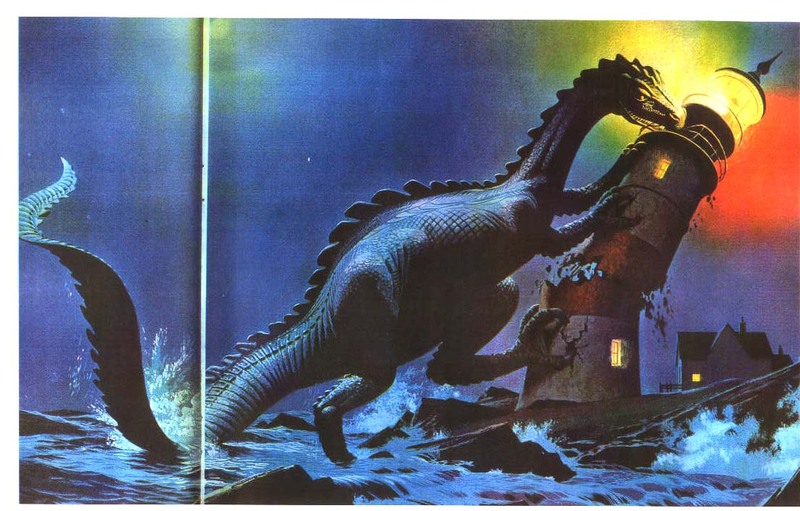 I really dig this illustration (click to enlarge) by James R. Bingham for the Ray Bradbury story The Beast from 20,000 Fathoms, first published in The Saturday Evening Post in 1951. 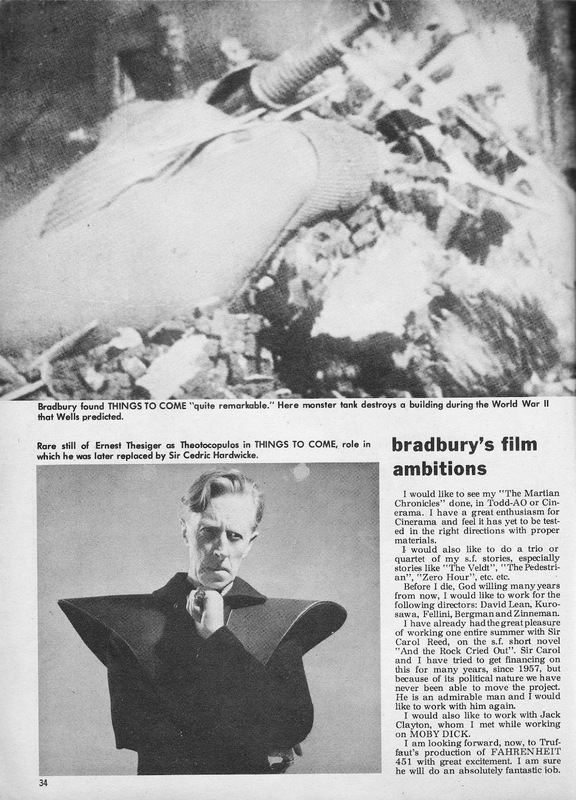 The story would become the basis for a 1953 movie of the same name featuring the brilliant stop-motion effects of Bradbury’s great friend, Ray Harryhausen. 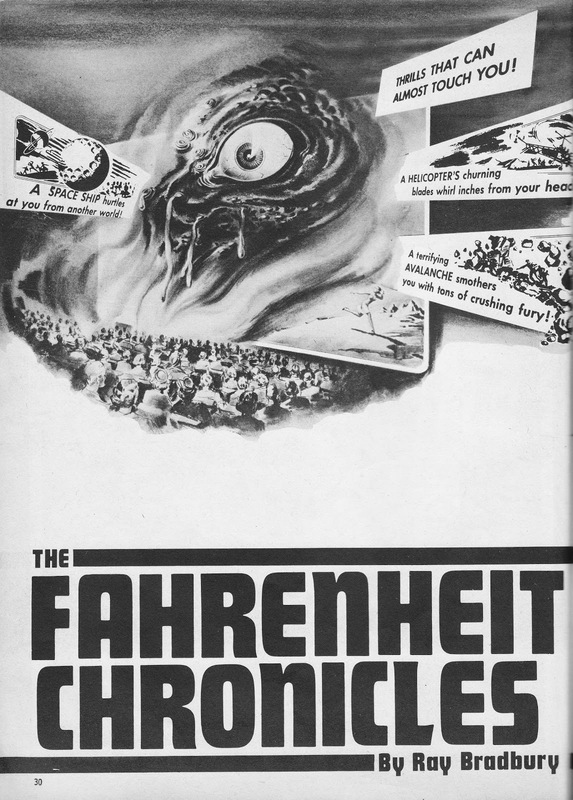 Having sold the rights to the title, Bradbury subsequently changed the name of the story to The Fog Horn. 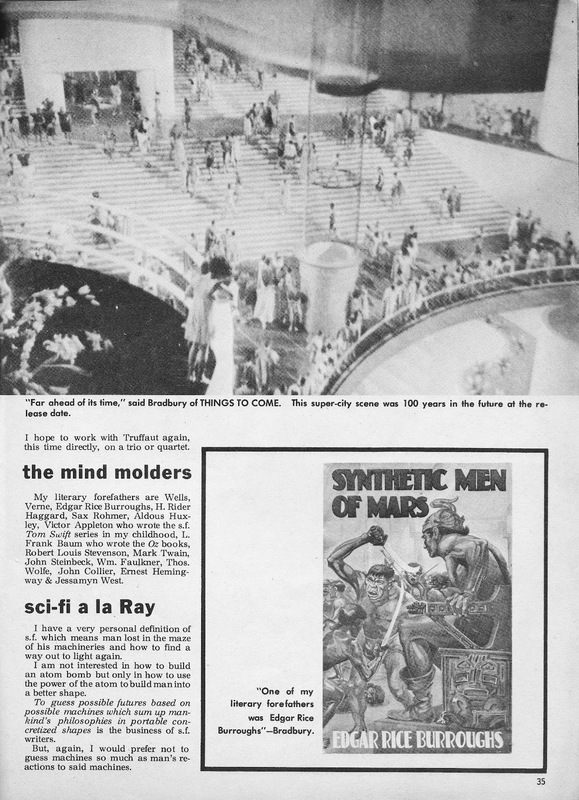 It appeared for the first time under that name in Bradbury’s first collection of short stories, The Golden Apples of the Sun (1953).